Our strategy is the positive use of praise, and we always aim to ‘catch someone doing something good’. We recognise and reward good behaviour in the same way as we recognise and reward work and effort. We all respond better to a little praise and a warm smile! When children enter the school they are placed into one of four houses; Eagles (yellow), Kestrels (blue), Hawks (green) and Falcons (red). Throughout the week children gain house points for effort and behaviour which build towards their house total as well as individual achievement. Golden house points, worth 10 house points, are given for extra special demonstrations of work, effort or behaviour. To make this process more visual for the children, every time they receive a house point they will be given a coloured token to put into the team jar within their class. They also mark this achievement on the weekly house point chart displayed in their classroom. Each week these jars will be emptied into a larger whole school container along with those from all other classes. We feel that the children benefit from this visual record of house points and that greater provenance will be placed upon working together for their house. Every term the house with the most house points will be given an in-school treat such as a disco or film afternoon free of charge. In addition to tokens, the children are able to earn certificates for individual achievement, for ‘No Time Outs or Warnings in a term’, postcards home and a class ‘Star of the Week’. Metal pin badges are also awarded for those children who have received no Time Outs or Warnings for the entirety of the year; a brilliant achievement! All certificates and badges have been specially designed and are exclusive to Ashmead School. We want every child to enjoy their time at school, and be able to work hard without interruptions from others. By working together, we can ensure the best possible outcome for everyone. On occasion, attitudes and behaviours can slip and we have a clear strategy in place when dealing with those times children make the wrong choices in behaviour. Whilst we are very happy with the behaviour of our pupils 99% of the time, we feel that it is important to clarify what happens when a child chooses to behave in an inappropriate manner. In Reception and Key Stage One (including Year Three), pupils begin each day on the smiley face. They move up or down a visual behaviour chart according to effort and behaviour illustrated. Those that move down to the sad face will be issued with an age appropriate time out, sitting away from the group for a short period of time. This 'time out' is logged on our system. Across Key Stage Two, pupils are issued with a verbal warning if they are not following one of the school rules. This can lead to a full warning, if incorrect choices continue. 3rd warning in a week – the child is sent to a member of the Leadership team and a letter sent home. On those rare occasions when behaviour choices become either more regular or more severe, the child is ‘fast tracked’ to the co-heads who will deal with it immediately. All members of staff ensure that every child involved in a situation, which has not been witnessed by a member of staff, are given the time to talk through their account of what has happened, before any sanctions are given. Should you have any further questions, please do not hesitate to contact the school. If you require a school policy or any other information about the school not located on this web site please contact the school office. 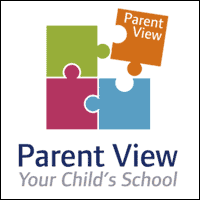 The following 3 documents were shared with Year 5 parents in the Summer term, 2018. They relate to transfer to secondary schools and testing arrangements.